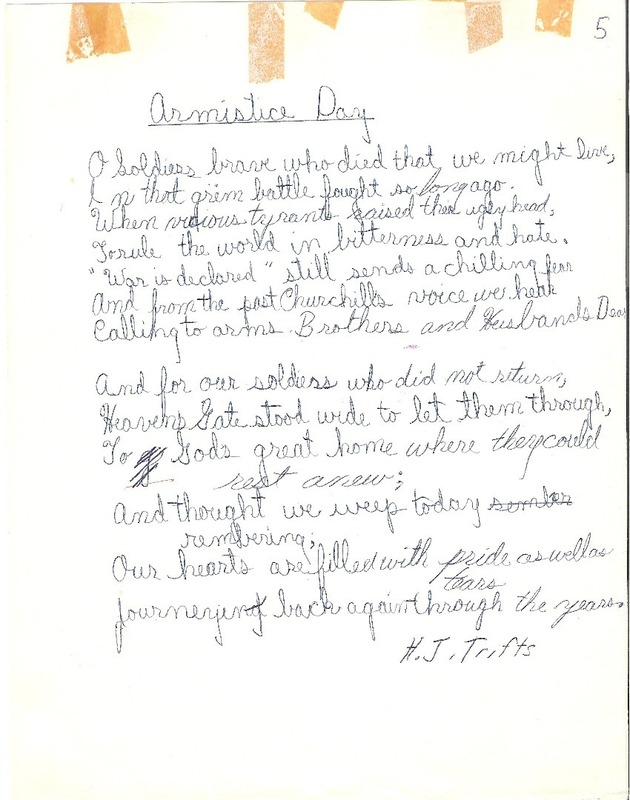 By the time I appealed to Mom for help, I had found only one relevant poem – “Armistice Day” by H J Trifts. As always, Mom came to my rescue and so it was that four of my six poems were written by “Anonymous”. Today, nearly 50 years later, the identity of this gifted poet is finally revealed. 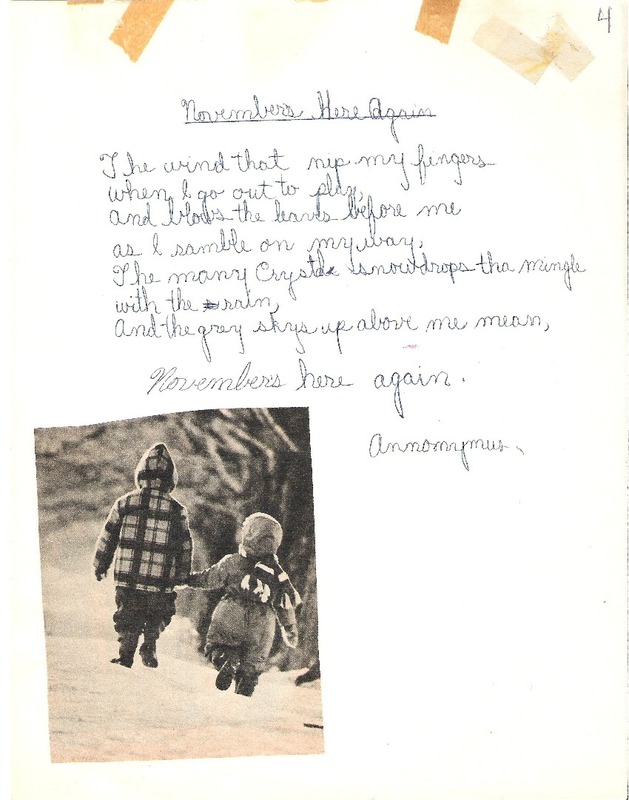 At the time I was in absolute awe that Mom could just sit down at the dining room table and write out four poems. 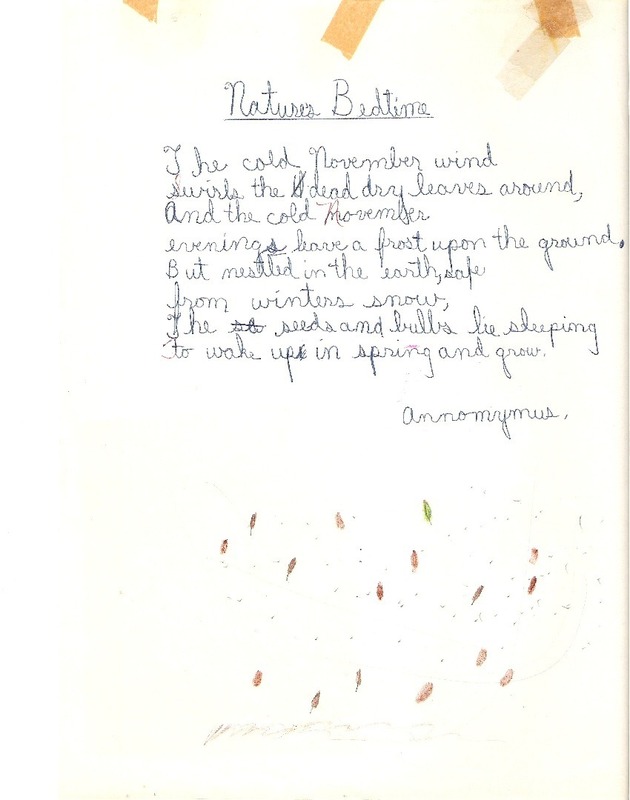 I was so inspired that I wrote the sixth poem myself! (I’ll show you that one in a future post.) 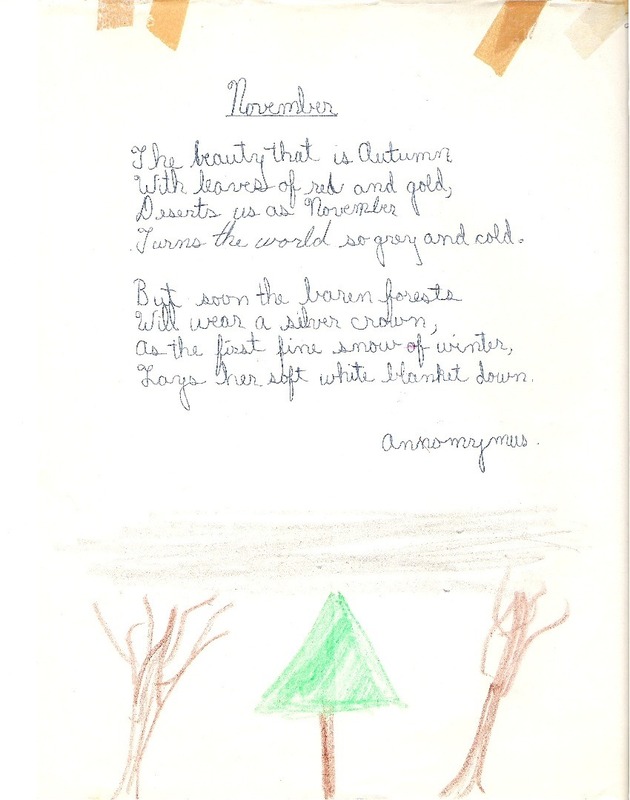 In the meantime, if you’d like to see the orignal versions of any of Mom’s poems, complete with my elementary school artwork, click on the poem’s title. As I read Mom’s poems again today, I am still in awe. 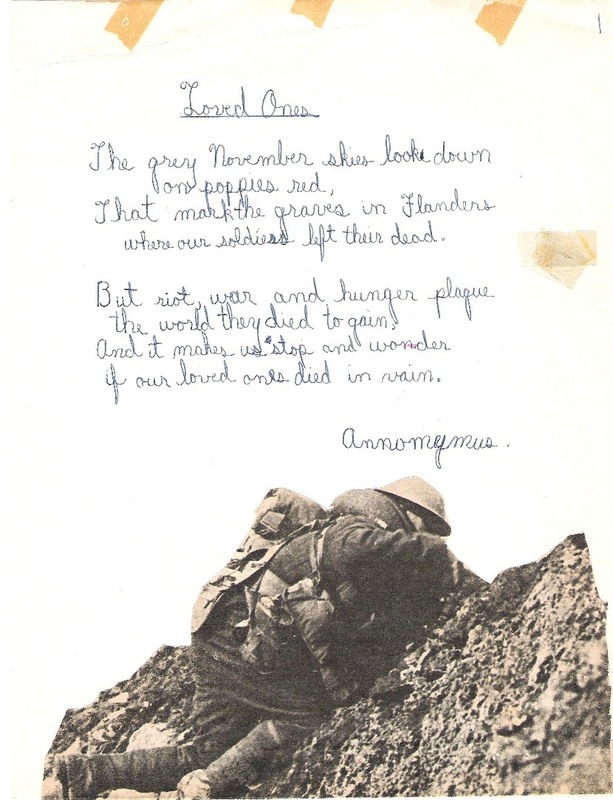 I find the last one, in honour of Remembrance Day, particularly moving and, sadly, as relevant in 2012 as it was in 1965. I hope you enjoy all of them as much as I have. 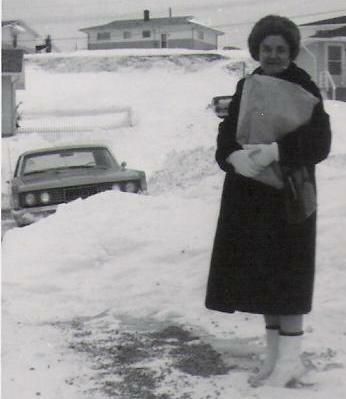 And Mom – as I’m sure I never thought to say it at the time – THANK-YOU! And the grey skies up above me mean, November’s here again. Turns the world so grey and cold. Lays her soft white blanket down. and the cold November evenings leave a frost upon the ground. The seeds and bulbs lie sleeping to wake up in spring and grow. where our soldiers left their dead. plague the world they died to gain. if our loved ones died in vain. 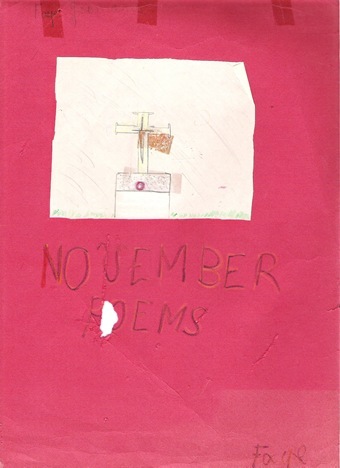 This entry was posted in Poetry, Writing and Books and tagged Armistice Day, Bernice Yeomans, Daily life, elementary school, Fall, Family, H J Trifts, homework projects, November, parenting, Poetry, Remembrance Day, school artwork, school projects, Writing. Bookmark the permalink. 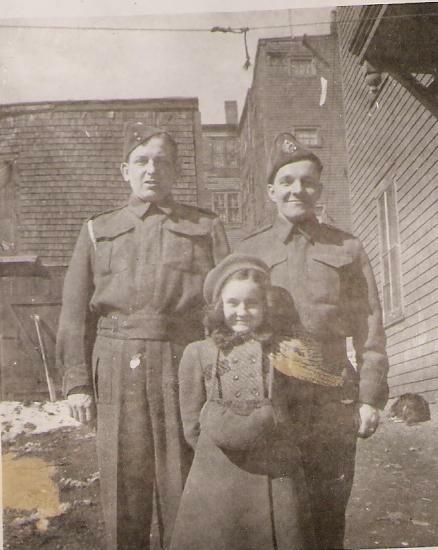 This is a lovely tribute to your mom and to Remembrance Day. How nice that you kept your project from so long ago. Thanks Sylvia! It’s definitely one of my favourtie memories from childhood.